Low ACT scores in math and English will waste money and time in college. If your ACT English score is lower than an 18 and your math lower than a 21 you will have to pay for remedial classes in college for which you receive NO credit. Remedial classes are expensive and add time to your college program. These classes can cost hundreds, even thousands, of dollars that will be taken out of your financial aid packet every quarter or semester. For example, if you have a low score in math, you may have to enroll in two or even three remedial classes before you will be allowed to enroll in the required college algebra class needed to graduate. Scoring well on the ACT can save you months of time and a large chunk of money. High scores will reduce your college costs—there are many scholarships waiting for you! Financial debt can be a huge problem for all students enrolling in college—tuition as well as room and board costs are on the rise and remain well ahead of inflation. Tuition alone can be astronomical. Locally, instate tuition alone will cost $27,374 a year at MU. Columbia College is even higher at $32,210. Elite colleges such as Yale charge $66,445. And remember you still have to pay for a place to live, food, books, lab costs, and transportation—the list goes on and on. Do everything you can to earn scholarships so you have the lowest possible debt when you graduate. High scores on the ACT pay off in scholarship dollars. Doing well on the ACT is the first step to collecting scholarships. You can receive thousands of dollars a year. Yes, that’s right–thousands! For example, in Missouri, you earn one thousand dollars for an ACT score ranging from 27-36 if you are the top 50% of your class rank. Bright Flight at 31 brings $2,000 a year for up to five years. The Mizzou Scholars Award from the University of Missouri is $10,000 a year for students with an “excellent high school record” and a score of 33. The Curator’s Award of $4,500 a year goes to students in the top 5% of their class who earn a 28. 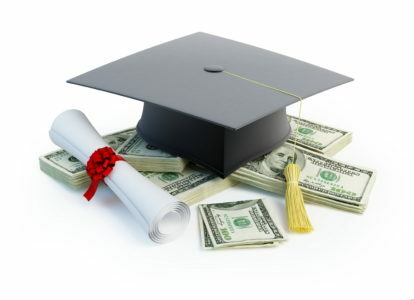 Most colleges also offer generous scholarships. They know that awarding scholarships is a key for getting students to enroll. This past year, one of our students went from a 24 composite to a 33 and earned over $100,000 at an out-of-state university. It can be done! High scores will help you get into the program of your choice. Many students who enroll in college have some an idea of what their “dream career” will be; others won’t know for a few years. Once again, however, their ACT score will greatly affect what choices will be available to them. For example, MU ACT score requirements for competitive programs include the following: Journalism 29, Nursing Scholars 31, Bioengineering (and other engineering programs) 32, and the Honors College 31. There are great rewards for preparing for the ACT—and preparation raises scores. Having college choices will open more possibilities. Once again, there are variable scores for colleges. Average ACT scores for some colleges and universities in Missouri include the following: Columbia College 23; Central Methodist University 21; Washington University 33; Drury University 26; St. Louis University 27; Stephens College 23; University of Missouri 25; University of Missouri-Kansas City 21; and the UMKC combined BA/MD Program, 31. There is comparable score ranges for other private state universities and colleges. The “prestige” Ivy League schools, University of Chicago, and Stanford all have ACT average scores in the mid-30s. College competition is fierce, and your ACT score can make a significant difference in determining both where you go to college, which program you enter, and how many scholarship dollars you earn so you minimize the amount you have to pay yourself. Take the ACT very seriously! It’s the most important test you will take in high school—and it’s a test you can prepare for to earn a maximum score. The higher scores will bring you many rewards. To find out more details about ACT scholarships, college choices, and program requirements go to our ACT FAQs page here.